Earplugs offer excellent protection from potential hearing loss. 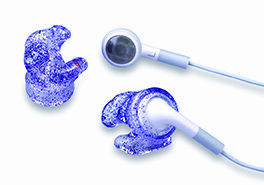 Because ears vary in size and shape, the most effective earplugs will be custom made from molds of your ears. We offer a variety of custom earplugs designed specifically for different activities. Swimmers and those who participate in frequent water activities are at risk for developing a painful, itchy ear infection known as swimmer’s ear (otitis externa). These infections can also lead to a thickening of the bone and narrowed ear canals, a condition known as surfer’s ear (exostosis). Left untreated, both conditions could eventually cause hearing loss. Keeping the ears dry is key to preventing ear infections that can cause problems. The best way to accomplish this is by wearing specially designed swimmer’s earplugs. 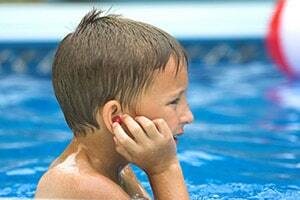 Swimmer’s plugs protect the ears by preventing water from entering the ear canals. They are made of a waterproof silicone that blocks the opening of the ear canal, providing a tight seal that keeps out water. Swimmer’s plugs are great for swimmers, surfers, rafters and snorkelers, and can be used to keep the ears dry when showering or bathing, as well. 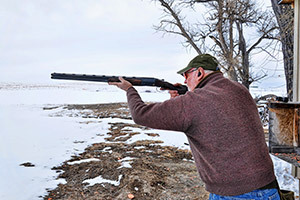 Hunters, law enforcement officials and gun enthusiasts are at risk for hearing loss every time they squeeze their triggers. A single gunshot can cause permanent, irreversible hearing loss. 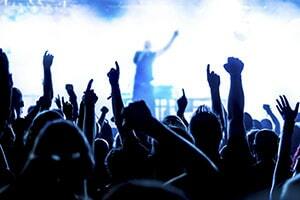 The typical decibel rating is 140 dB – louder than a jet engine (120 dB). Specially designed hunter’s earplugs utilize acoustic filters that amplify ambient noise, allowing the user to hear his or her surroundings better; when the weapon is fired, these filters soften the sound to protect hearing. They include a valve that closes automatically when struck by a sound wave, limiting the volume that reaches the ear. Hunter’s plugs are available in styles that fit in the ear or behind the ear. Musicians are especially susceptible to hearing loss because of their constant exposure to music that often exceeds safe decibel levels. To protect their hearing, they need earplugs that limit the amount of damaging noise, but still allow them to hear music that is clear and natural sounding. That’s where musician’s plugs come in. Regular earplugs cause distortion and muffled speech by reducing higher frequency sounds. High-fidelity musician’s plugs reduce all sounds evenly while maintaining quality, so that music and speech is as close to the original as possible. They include a number of interchangeable attenuators, filters that offer varying levels of sound protection depending on the type of instrument used and the venue played. Musicians and frequent concert attendees come into extended contact with loud sounds on a regular basis, increasing their odds of developing hearing loss. Music can reach 115 dB levels or higher, a rating that can be damaging to hearing after only 15 minutes of exposure. 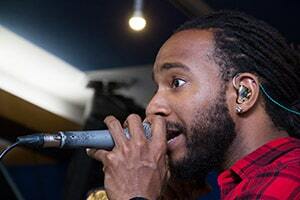 The solution is musician monitors, in-ear musician’s earplugs designed to provide noise reduction without affecting the clarity of music or speech. Standard earplugs reduce sounds in the higher range of frequencies, leading to distortion and muffled speech. Hi-fidelity musician monitors reduce sounds evenly, providing clear and natural-sounding music and speech. They take the place of traditional loudspeaker monitoring systems, which tend to be oversized and loud, increasing the noise level onstage. Earbuds are ubiquitous nowadays, but the ones that come standard with an iPod don’t always stay in place well, particularly when the user is engaged in physical activity. Despite their “one size fits all” claim, in reality they tend to fall out of your ears easily. Custom earbuds designed for iPods solve this problem by fitting the unique contours of your ear canals. They are made from a custom earmold created from impressions of your ears, and offer a tight seal and perfect fit. Their custom design ensures they remain in place even during moderate to vigorous activity, and the snug fit translates to better sound quality and less distracting external noise.